Since 1995, the City of Oakland has been awarded over $4 million dollars through 15 grants, primarily from the US Environmental Protection Agency, to assist with the assessment and cleanup of brownfields. 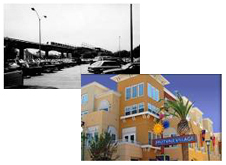 Oakland has been one of the most successful municipalities in the country at obtaining brownfield grants. These grants have helped to turn many contaminated sites into Oakland brownfield success stories. Brownfield grants are applied for and primarily managed by the Environmental Protection & Compliance unit of the Environmental Services Division. For most State and federal grants, only governmental agencies and non-profits are eligible to apply; however, the City often partners with community-based organizations to identify sites where grant monies can be spent most effectively. Recent EPA-funded brownfield grant projects managed by the City of Oakland are Coliseum Area, West Oakland, and Foothill-Seminary. 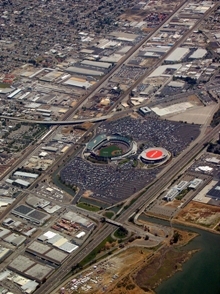 In 2006, the US EPA awarded the City of Oakland two “community-wide” brownfield assessment grants totaling $400,000 for use in the Coliseum Area of east Oakland. The City has used this money to finance investigations of potential soil, groundwater, asbestos and lead paint contamination at Coliseum Area sites that are targeted for redevelopment. 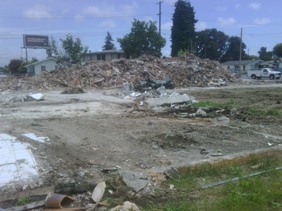 In 2009, the US EPA awarded the City of Oakland a $200,000 “site-specific” brownfield assessment grant for use at an assemblage of eleven contiguous parcels located at the intersection of Foothill Boulevard and Seminary Avenue. Current plans call for a two-story, 35,000 sq ft retail development that is expected to create as many as 175 new jobs. The City has used the grant money to finance investigations of potential soil, groundwater, asbestos and lead paint contamination. 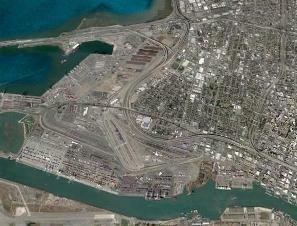 In 2009, the US EPA awarded the City of Oakland two “community-wide” brownfield assessment grants totaling $400,000 for use in west Oakland. The City has used this money to finance investigations of potential soil, groundwater, asbestos and lead paint contamination at west Oakland sites that are targeted for redevelopment.